ANNI ALBERS was born in 1899. 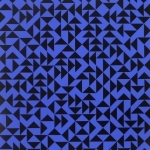 Albers studied at the Hamburg Kunstgewerbeschule and the Weimar Bauhaus. From 1929 to 1933 she taught at the textile department of the Bauhaus. The experience of weaving obtained at the famous school founded by Gropius was to play a fundamental role in the development of her research. In this field she was a precursor in the development of operative models of artistic design for industrial production. In 1925-26 she designed the first gobelins, fabrics in which the colored design is based on the vertical and horizontal lines imposed by the looms. Their successions of lines and repeated color variations constitute a veritable micro-macro structure. In 1933, together with her husband Josef Albers, she emigrated to the United States where she taught at Black Mountain College in North Carolina and numerous other schools, combining her creative work with intense activity in the didactic and theoretical fields. Between 1946 and 1960, she passed from textile design to graphic work and painting on paper, producing a series of works in which the alternation of colors produces vibrations with a clearly kinetic effect. In 1965 the Wesleyan University Press published her treatise on fabrics On Weaving, an account of the history of weaving in its technical and artistic aspects from antiquity to the present day. Her approach to weaving, considered unconventional, has inspired and influenced many young weavers. Other publications include On designing, Pelago Press, 1959, and Pre-Columbian Mexican Miniatures, Praeger Publisher, 1970. She has been awarded honoris causa degrees by various American universities. 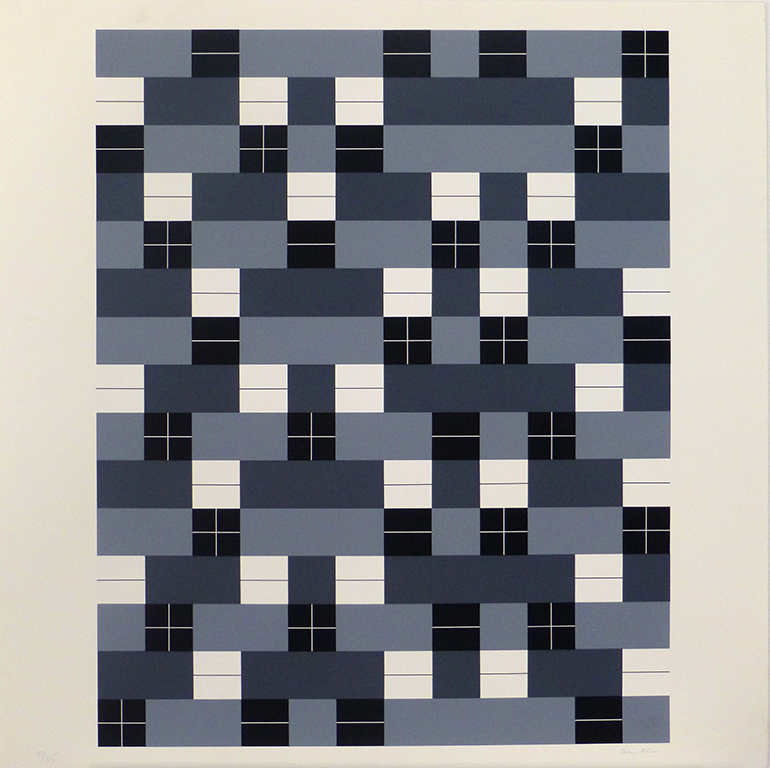 Now working almost exclusively in the field of graphics, Anni Albers concerns herself above all with the definition of arithmetically determined patterns of composition permitting a wide range of variants. This has caused a return to the repetitivity of composition modules, as in weaving, hence the terms used to define the different types of graphic image (e.g., thread, interlacement, knot). Numerous exhibitions of her work have been held at American museums, including those of the Massachusetts Institute of Technology, Yale University, and the Museum of Modern Art in New York. In 1975 her work was exhibited at the Düsseldorf Kunstmuseum der Stadt, in 1983 in the historical section of the “L’ultima avanguardia” exhibition at the Palazzo Reale in Milan. In 1985 a traveling exhibition of her work visited the Ackland Art Museum, the University of California in Los Angeles, the Renwick Gallery of the Smithsonian Institution in Washington, D.C., and Yale University. 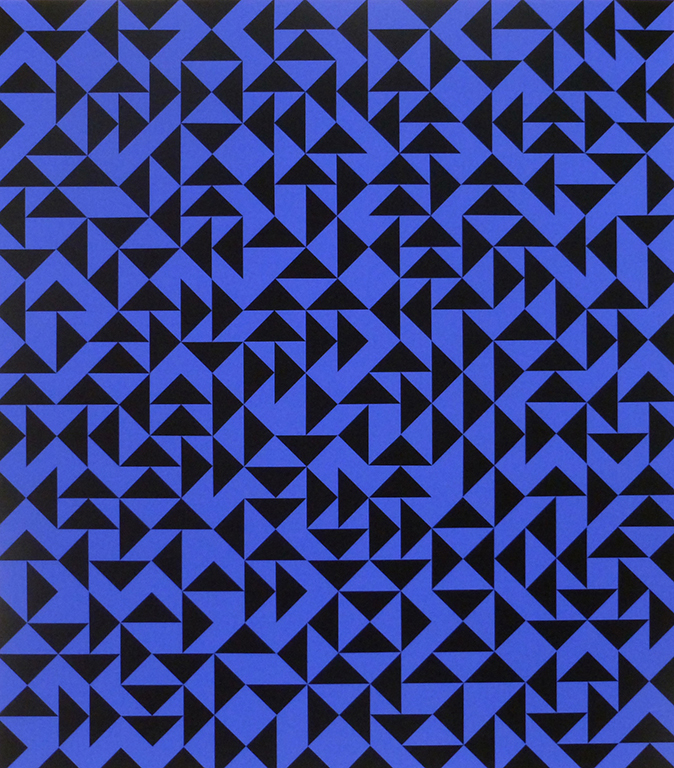 Albers died in 1994.